Since it's coming up to the end of 2015 though, I want to take this opportunity to reflect on the year's events and write myself a few goals for 2016. When I look at how this year started, whether it be who I welcomed the new year in with, the friends and family in my life and my job etc. I can see how much can truly change in 365 days. Like everyone, I had conventional resolutions - join the gym, drink more water, find a new job, and I'm proud to say that I actually achieved everything on my list, even finding true happiness for a while and reducing my own personal struggles. But for 2016 I feel as though I have a very different perspective on how many things I'd like to see change. In place of some of the more materialistic resolutions I made last year, I really want to achieve more for my own personal development. 1. Push myself out of my comfort zone on a weekly basis. They say that change can't happen until you break out of your cycle and choose a new path to take, and this is something I've definitely learnt towards the latter end of 2015. 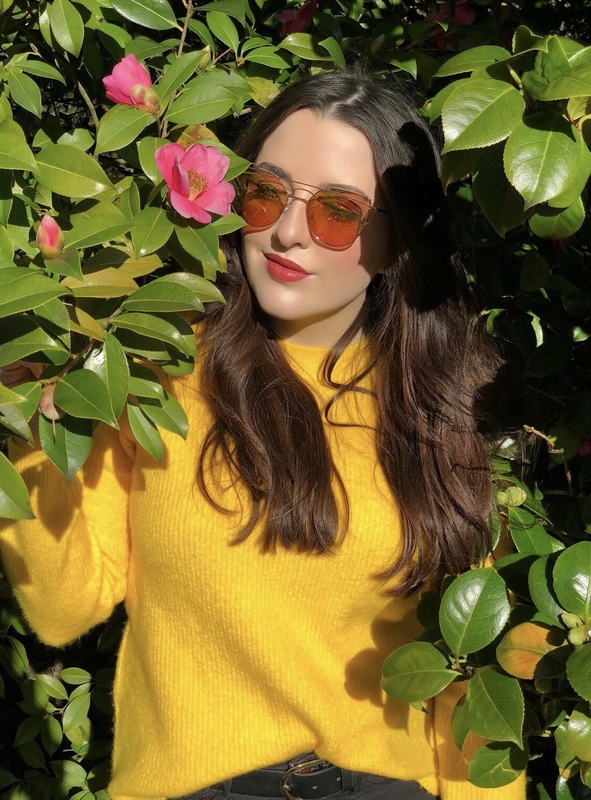 Prime examples of having pushed myself out of my comfort zone this year were finding a new job and attending a blogging event in London by myself - both of which I couldn't have done without the encouragement of one person in particular. I'd like to see myself evolve this year to be a more confident and self assured individual who gets less stressed at the little things - it'll take time, but it's baby steps until then! 2. Spend less time worrying about things that I can't control. Whether it's stressing about what someone really thinks about me, or trying to achieve perfection on a personal project, I'm want to choose to be more relaxed. This year I definitely focused too hard on trying to change and control everything, and lost sight of what was most important to me. 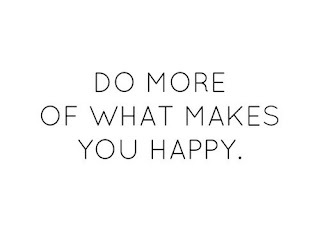 I'd like 2016 to be more about enjoying the here and now instead of worrying what the future will hold for me. 3. Appreciate the people who are there for me. It's easy to focus on what you don't have, over what you do, and this is something I've been incredibly guilty of over the last year. I want to reverse this way of thinking and be thankful for everyone who manages to make me smile, or takes the time to send a little love my way. I don't want to take for granted any of the bonds I make because you never know when they suddenly have to end - whether it's family, friendships or relationships, make the most of every moment. 4. Improve my overall health. I've been under a lot of stress at times over the last year, and although I do consider myself to be a fairly tough person, I'm definitely guilty of neglecting myself when I have a lot going on. I achieved my personal goals of getting fit and joining the gym, and even ran 5K with a friend back in the summer, but this year I want to make some bigger lifestyle changes. I'd like to swap junk food and snacks for healthier choices, stop drinking as much caffeine, relax so I'm able to sleep better, and fit more exercise into my weeks. I'm always aware of how much happier I am after working out and I want to make this part of my routine and who I am, instead of something I have to do begrudgingly. 5. 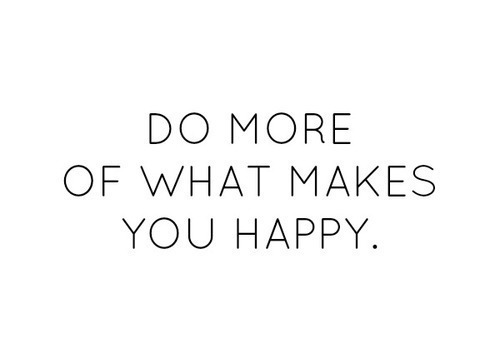 Do the things I want to because they make me happy. Whether it's working out, travelling, getting creative or blogging, I want to spend more time exploring the things that make me happy. The people who make you feel true happiness when you're with them won't always be around to make you smile, they have to chase their own passions too. Instead of depending on others, I want to ensure that I can occupy my own mind and fill it with my own sources of happiness too, so that I can reach a balanced medium. Of course I could probably continue writing on forever more about personal goals, but I think I'll leave it here with my top 5. I'd still like to improve my blog, go on holiday and tick off things on my bucket list, but I feel like this year I'd like to make the above a priority first. I realise this has been a pretty personal post, and completely different to everything else I've ever written on here, but being honest with yourself and others is a good way to start making the little changes - plus sometimes I feel like I just want to write something a little more real, you know? So tell me, do you have any resolutions, wishes, goals or dreams for 2016? If you've taken the time to read this I hope I've inspired you to make some positive changes too. I'm so excited to share with you all my latest purchase, from a post I saw advertised on Facebook! Those who know me personally will know I'm obsessed with dogs of all shapes and sizes - I'm not fussy! But I have a particular soft spot in my heart for Pugs and Sausage Dogs - growing up as a kid we had a little pug called Rosie and she provided so many hilarious moments and much love to my whole family. I just love the way that dogs will love you unconditionally and there's no limit to their affection. Anyway when I saw a page called 'My Pup Boutique' pop up on Facebook saying they were giving away free Dachshund Rings on their website, I clicked straight over and bought one for myself. It wasn't technically free since I still had to pay for shipping but I didn't care, the ring was too sweet to leave behind. The 'Hug Me' design makes it look like you have a miniature Sausage Dog wrapped around your finger and is fully adjustable so it'll fit all finger sizes. Though it was available in Bronze, Silver or Black, I chose the Bronze. The little face on the Dachshund is so cute and has so much personality, it's a real fun and quirky statement piece! My Pup Boutique specialise in products for almost every breed of dog, whether you have a penchant for Poodles, a calling for Chihuahuas or a passion for Pomeranians, every single one of their rings is free - you only have to pay for the cost of shipping! So if you have a friend or loved one who's after a puppy for Christmas, I'd definitely recommend this as a stocking filler for them! 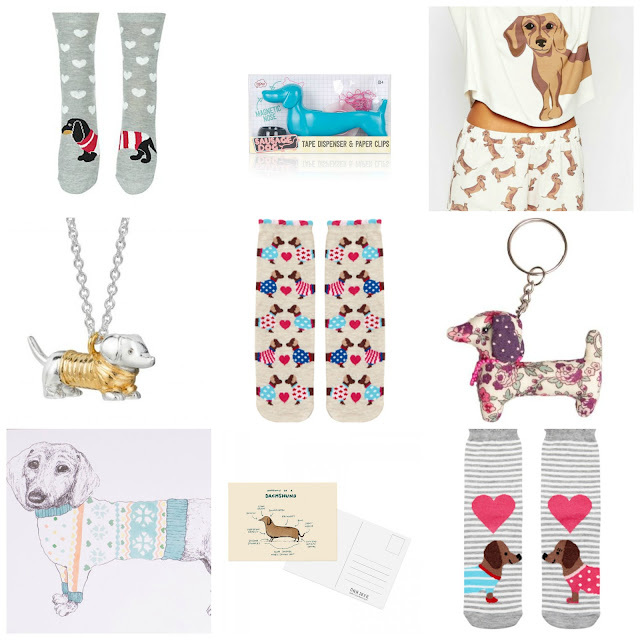 In an attempt to further satisfy the sausage dog sized void in my life at the minute, I've done a little surfing on the internet to find the cutest Dachshund themed essentials..
Do you have a pet dog, if so what breed is it? I'd love to get to know you all a little better and find out! If any of you read my earlier Rose Gold appreciation post, you'll know that one of the items on my wishlist was a Daisy London Halo Locket Necklace. And when it comes to wishlists, I swear there is nothing more satisfying that ticking some of your favourites off - it didn't take me long to hunt exactly what I wanted down, and I'm so glad I did! Daisy's Halo Locket Necklaces are essentially the same as a classic locket, but better. The holders, are aptly named Halo, due to their circular design, and open up so that you can pop in a coin of your choice from the Halo range. Daisy have a whole assortment of coins on their website for you to choose from, from Letters and Symbols to my personal favourite, Chakras. I personally chose the Rose Gold Halo Locket Holder with the 30" chain because I was in need of a longer statement necklace, but the beautiful thing about Daisy's jewellery is it's available in Silver, Rose and Yellow Gold, and the Halo Holders come with either an 18" or 30" chain - they're beautiful when layered or the metals mixed & matched for a two-tone effect. A lovely finishing touch added into my packaging was a miniature booklet explaining my Chakra, along with the others to me in further detail. The Base Chakra is otherwise referred to as 'Muladhara' and is linked with Stability, Grounding and Prosperity. Located at the base of the spine, it's colour is red and demon is fear - as someone who can be a bit of a worrier at times, this resonated with me. The necklace itself is very beautiful and looks fantastic layered over some of my chunky jumpers this winter, but I also know it'll give off beachy-boho vibes in the summer and look great whether at a festival or on holiday. I'll definitely be making future purchases from the brand, whether it's a different coin for my Halo Locket Holder or I try out a new collection - I've been eyeing up some of the unique plectrum designs in their collaborative collection with the beautiful Laura Whitmore, if you haven't seen it for yourself it's definitely worth having a browse online! So what do you think of Daisy London's jewellery? Let me know by commenting below!